elobeatlesforever: ELOwnership: What's In A Name? Disclaimer: This is an article not intended to offend or affront ELO fans of any dissuasion. I was asked recently by a music mad friend of mine (who has no agenda) whether there has really been an ELO since Jeff Lynne disbanded the original band back in 1986. Their argument was that some folks did not consider ELO Part II on the same page as ELO and that any releases after "Balance Of Power" have been Jeff Lynne albums by any other name (even if marketed as ELO). I therefore asked myself whether I considered that all those ELO Part II gigs I attended in the nineties and those studio/live albums I bought back then were ELO. I also considered the same when it came to "Zoom", "Mr. Blue Sky", "Alone In The Universe", "Wembley Or Bust" and the wonderful Jeff Lynne's ELO concerts that I've attended at Birmingham (twice), Liverpool and London in recent years. Jeff Lynne wrote and produced 99.5% of ELO's recorded output betwixt 1971 and 1986. In terms of recorded output, it can be argued that albums released since 2001 are practically Jeff Lynne with a little help from his friends. In my opinion, the Hyde Park show, the AITU tour and Wembley spectacular are the nearest we will all get to quintessential ELO. Having said that, the audience reaction last year at Rewind North to The Orchestra was also quite special, as was seeing ELO Part II perform with the Moscow Symphony Orchestra back in May 1991. For me, it all comes down to the name: Electric Light Orchestra. Initially co-owned by Roy Wood, Jeff Lynne and Bev Bevan and now the property of Jeff since 1999, the moniker Jeff Lynne's ELO says it all. My ELO were the Magnificent Seven who adorned the inner sleeve of "A New World Record". 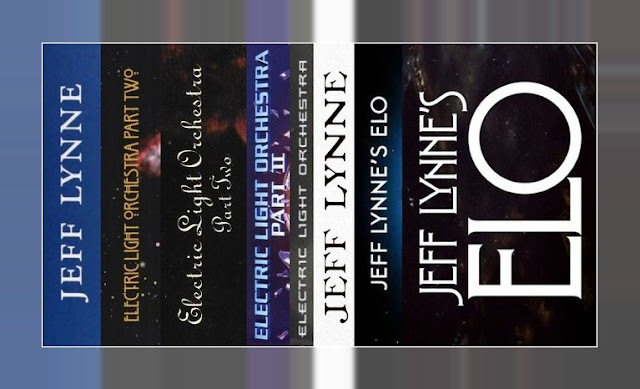 For some people, ELO Part II and/or The Orchestra will also be their ELO and, most certainly, Jeff Lynne's ELO are ELO to many here and now. Whilst you can't ignore the past or the facts as to who ELO were (i.e. former members, their contribution and so forth), fans will always have the right to perceive ELO as they so wish. Yours Truly KJS used to get in trouble for saying that "Zoom" was "Armchair Theatre Part II" but experience has taught me to quote a certain song from that very album: "It Really Doesn't Matter". It's about the music and, these days, it's also about what I term ELOwnership. Interesting and thoughtful article. I say if you are going to count Jeff Lynne's Zoom and Alone In The Universe then you have to count Bev Bevan's ELO Part Two albums as ELO albums as well. Bev was a founding member and co-owner of the name ELO. Jeff quit and the helm of ELO was taken over by Bev. Years later Bev sold out to Jeff and now Jeff has the ELO title and name. The ELO Part 2 albums are excellent albums and are admired in the AOR/Melodic rock fan base sites. And in my opinion far better than Zoom and Alone In The Universe. And having said all of the above , I wouldn't argue with anybody that said Balance Of Power was the last real ELO album. And I agree, that the real ELO was Jeff Lynne, Bev Bevan, Richard Tandy, Kelly Groucutt, Mik Kaminski, Hugh McDowell and Melvyn Gale. Respectfully, those ELO II albums were what the Kinks would be without Ray Davies or The Who without Pete Townshend —unrecognizable and mostly unlistenable. Bev Bevan is an outstanding drummer but not a songwriter or creative force and he did not "take over the helm" of ELO; ELO Part II was the product of a legal settlement that allowed Bev to make money touring and playing (mostly) Jeff Lynne's songs. ELO never would have achieved the success it did without Jeff's producing and songwriting talent. There was a "Bev Bevan's Move" but thankfully no "Bev Bevan's ELO." Jeff Lynne's ELO is just a solo act with a backing band. Thanks for the article Keith. Out of the Blue is not only ELOs best album, it is also the best album ever. You always remember the line up in your favourite band when they are at their highest point. So your right Keith ELO to me, is that picture on ANWR. It took me a while to get used to ELO PT 2 as no Jeff! The same for JL ELO as no former members! But I did. To me it's not who performs ELO songs, it's the standard they are performed. Perhaps we should talk more about the music not the personalities. As far as I'm concerned...if Jeff is involved...it's ELO. No Jeff...no ELO.